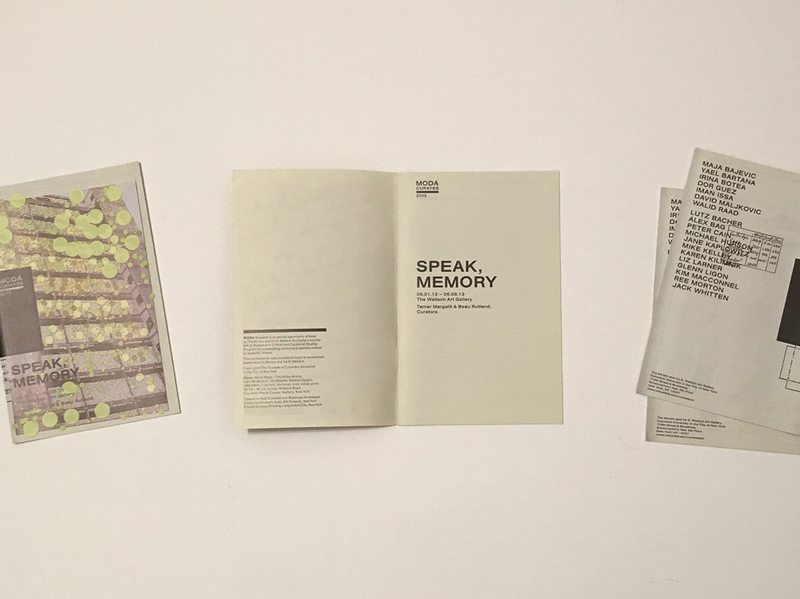 Visual identity, exhibition catalogue, exhibition graphics, and various printed matter for Speak, Memory—the inaugural presentation of the MODA Curates series at The Miriam and Ira D. Wallach Art Gallery at Columbia University—an annual curatorial opportunity for graduate students in the MA in Modern Art: Critical and Curatorial Studies Program (MODA). / Design Detail / The design approach assigns black for all typography, a choice made to foreground the featured art works, and to allow the use of color to reside only in the works themselves. Bold, stacked caps form part of the MODA Curates visual identity, for both the typemark and titling. 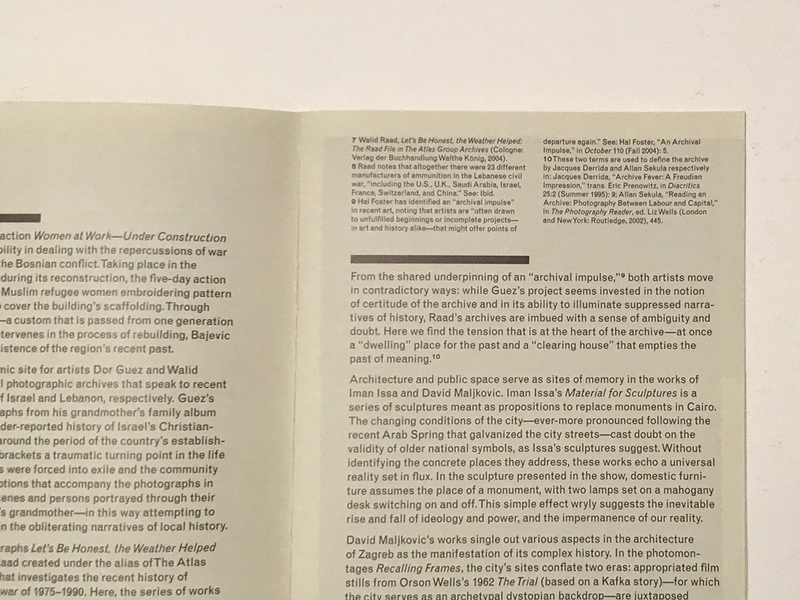 The essay text aligns at the lower edge of the page, while titles and essay notes hover from the top hangline, creating open and changing space between these different types of content. 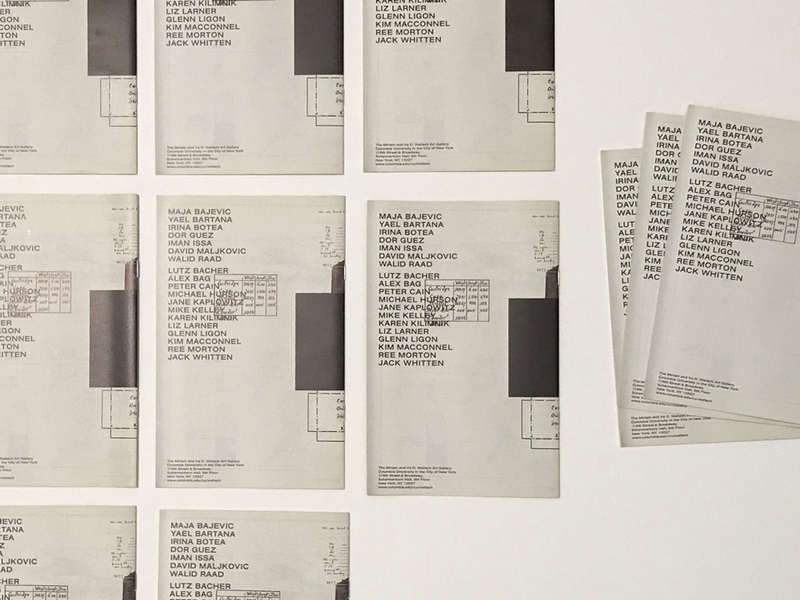 As a means of highlighting works of different artists within the exhibition, opposite sides of the catalogue cover feature the work of two artists. Similarly, two versions of the exhibition poster and postcard were printed and distributed. / Artists in exhibition / Maja Bajevic, Yael Bartana, Irina Botea, Dor Guez, Iman Issa, David Maljkovic, Walid Raad, Lutz Bacher, Alex Bag, Peter Cain, Michael Hurson, Jane Kaplowitz, Mike Kelley, Karen Kilimnik, Liz Larner, Glenn Ligon, Kim MacConnel, Ree Morton, Jack Whitten.